On the occasion of the anniversary of one century of cinema, The French ministry of Culture entrusted the Centre national du cinéma et de l'image animée (CNC) with a mission: piecing together and restoring The Lumière brothers complete work. 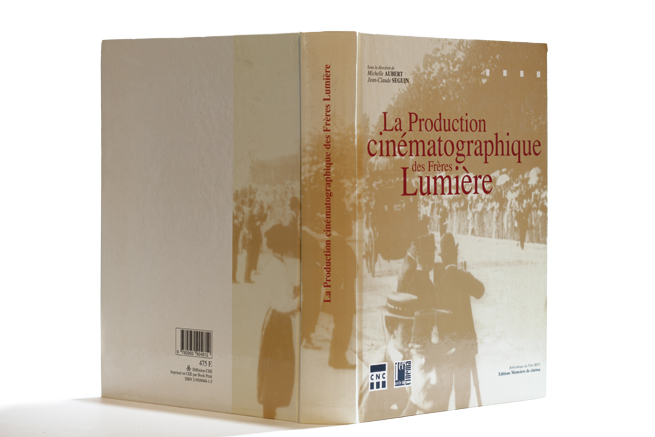 It is published by de Bibliothèque Nationale du Film (BiFi) in the context of their collection "Mémoires de Cinéma". The catalogue has adopted the graphic identity of the whole collection, that is to say a monochrome image on the cover, a sober and clear layout and black and white illustrations. The catalogue comes with a CD-Rom including all of the documents and a selection of movies.